Gout is an incredibly painful chronic disease. I have had patients with a gout attack whose toes are so painful they cannot sleep with a sheet touching their feet. Gout is caused by a buildup of uric acid in the blood that crystallizes in the joint, often the big toe, though ankles, wrists, fingers, and other joints can also be affected. These crystals can cause joint deformities and bumps on the skin, especially the hands and fingers. Imagine razor sharp crystals rubbing inside your joint, and you get an idea of the terrible pain and inflammation associated with this disease. Gout tends to come in waves, starting as a throbbing pain that intensifies for a few days and then starts to subside. Gout used to be called a rich man’s disease, because red meat and alcohol contain purines that increase uric acid levels in the body. However, gout is more complicated than diet alone. There are two effective natural interventions to help prevent gout attacks. The first is increasing your intake of water to at least eight 8-ounce glasses a day. Adding more water dilutes the blood and makes it less likely that uric acid will stick in the joints and crystalize. A recent study showed that increasing water intake can reduce gout attacks by as much as 50 percent. I am not aware of any prescription drug that can reduce gout attacks to this degree, and without serious side effects. The second natural intervention is found in the cherry. This fruit contains anthocyanins, which are flavonoids that give cherries their deep red color. These compounds reduce inflammation and increase the excretion of uric acid. Cherries make the body more efficient at getting rid of excess levels of this compound, and studies have shown they can also significantly decrease the incidence of gout attacks. What does the science say? One clinical study from 2014 looked at the effects of cherry juice on uric acid levels and inflammatory markers in healthy people. The researchers found that those who drank 30 or 60 milliliters of cherry juice for just two days had lower levels of uric acid and C-reactive protein, an inflammatory marker. Uric acid output in urine samples was increased. Since excessive uric acid buildup triggers the excruciating pain and deformities associated with gout, getting more of it out of the body is definitely a good thing. So should we eat the cherries, drink the juice, or take supplements? I vote for all of the above. However, eating cherries every day is not realistic for most people, and there is a lot of sugar in cherry juice. For consistent benefits, I recommend cherry fruit supplements that are standardized for anthocyanins. Freeze-drying is a good method because heat drying and extractions can damage the antioxidant value of the cherry. A good dose is 1500 to 3000 milligrams daily. Tart or Sweet Cherry for Gout? I am often asked: tart or sweet cherry? Quite honestly, I think all cherries offer health benefits. There is more scientific data on tart cherry, so perhaps it has a bit of an edge as far as proven effectiveness. 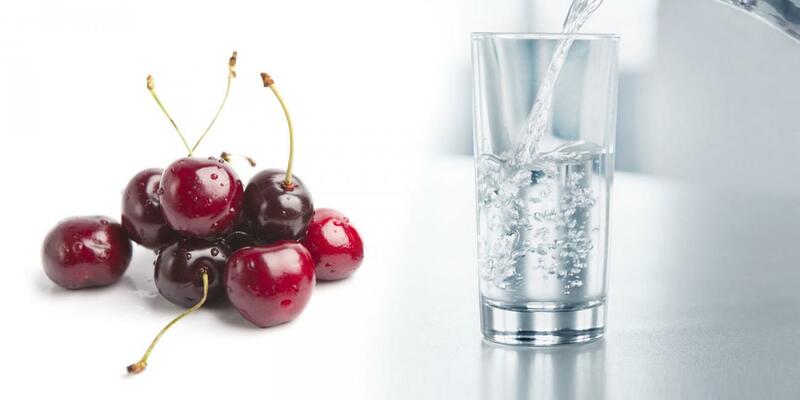 If you or someone you love suffers from gout, increasing water intake, eating more cherries (but not in pie! ), and using a standardized cherry supplement may tremendously reduce incidences of pain and suffering. And there are side benefits as well to being well hydrated and full of healthy antioxidants from cherries. Inflammation in other areas of the body may also subside. Skin may improve. Kidneys function better. All this contributes to a healthier you!